Let this be the day you make the time to address your pain or discomfort. Changing today will change every day that follows. Contact Messer Chiropractic & Nutrition Center today. Review our affordable Chiropractic Care, most major insurances are accepted. Using manual manipulation and gentle spinal mobilization techniques. Your doctors at Messer Chiropractic will use motion palpation as a way to feel your spinal joints move as you turn and bend. Also, a leg-length check may be performed to uncover an imbalance in your neck, mid back, or lower spine. If there is restriction in your spinal movement, the doctor will make a very specific correction to your spine. This will improve your spinal biomechanics, improve circulation, reduce nervous system interferences, and reduce pain. Chiropractic care is safe for both women and babies during pregnancy. Your doctors at Messer Chiropractic have been trained in a number of techniques in order to keep mom comfortable during her prenatal adjustments and provide maximum safety for pregnant women and healthier babies. During the months of pregnancy, hormones cause women’s ligaments and muscles to relax, which may cause stress on the spinal joints and compromise nerve flow. There is never a more important time to be under chiropractic care than during pregnancy. The physiological changes that are occurring in both mom and baby are incredible. It is a dynamic process during a short period of time which means you can benefit from regular spinal care, proper nutrition, and exercise. Chiropractic care allows women to be and feel their best during one of the most important times during their lives—before, during, and after pregnancy. Your doctors at Messer Chiropractic can help you remain pain-free and increase your ability to move during this time, allowing you to stay active. Research has also shown many benefits of chiropractic treatments during pregnancy, including decreased intervention during the birth process, decreased need for pain control during labor, the ability to deliver with more comfort, and decreased average length of labor. After an auto accident. Whiplash is often caused by rear-end accidents. Nearly 2 million Americans suffer from whiplash each year. It happens when a sudden, jolting movement of the head is sustained backward, forward, or to the side. It destabilizes the spine and can cause severe pain. It can also lead to blurred vision, headaches, dizziness, shoulder pain, reduced range of motion in the neck, arm pain, neck stiffness, and even middle back pain and pain in between the shoulders and lower back and hip pain. It is not a life-threatening injury but can lead to chronic pain and disability. Early care and treatment is very important to getting you functional fast. The sooner you are able to get evaluated and treated, the sooner you can be on the road to recovery. 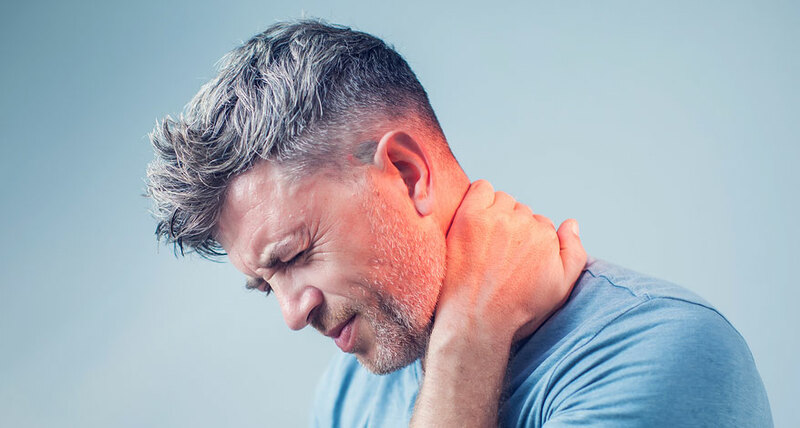 Even if you are in an accident that seems minor, injuries from car accidents can show up days or even weeks after the fact, so make sure to see a chiropractor at Messer Chiropractic as soon as possible. Dr. Amanda Messer uses hair analysis to detect the presence of heavy metals. Through this painless testing procedure, she can also evaluate for normal mineral balance and glandular health. Through the ratios that this test offers, Dr. Messer is trained to determine the health of several glands and your metabolism from your hair. The hair analysis also is able to point out what is the worst problem that the body is dealing with at this time weather it is heavy metal exposure, adrenal fatigue, thyroid imbalance, or digestive disturbance. We have 2 independent licensed massage therapists in our office. Massage therapy offers a natural conservative treatment approach that relieves musculoskeletal pain for many patients. Our office provides specified massage and muscular therapy that is tailored to meet the patient’s condition and injury. The benefits of massage therapy may include increasing blood circulation, reducing swelling, relaxing muscles, relieving muscle pain and spasms, and aid in recovery and range of motion. Massage therapy can help in conjunction with chiropractic adjustments to get you feeling better faster and feeling better in between treatments with less flare-ups. Your doctors at Messer Chiropractic use many modalities to loosen up your soft tissue and get your muscles to relax including vibrational massage, trigger point therapy, myofascial release, guasha tool therapy, active release therapy, electric muscle therapy, arthro-stim therapy, and more. To achieve maximum performance. No matter what level you are at, a chiropractor can take care of everything from rehabilitation of an injury to helping you achieve your own personal goals. Your doctors at Messer Chiropractic treat common overuse injuries such as hip, knee, or foot injuries from running, shoulder injuries from volleyball, baseball, or tennis, even patients with concussions return to their sport faster if they have their spine evaluated and treated. Your doctors are hands-on teachers with an in-depth knowledge of anatomy, strength, and endurance training, as well as correction of improper biomechanics through strength and conditioning. To improve infant’s and children’s health. Kids are very special to us. Parents are often concerned with the question of how to keep their kids healthy when everyone around them is getting sick. We believe getting your child adjusted can get them healthier and keep them healthier. Your doctors at Messer Chiropractic are trained in pediatric care and have undergone additional education to become experts in treating children. Our office is fun and friendly so children have no reason to fear coming to get adjusted. The nervous system is in control of the growth, repair, and function of every part of the body and it sends messages to each and every tissue and organ telling it how to work. When a child’s spine is out of alignment, it interferes with the course of these messages and the body may not appropriately respond. Your doctors are able to remove these interferences with gentle adjustments to your child’s developing spine, allowing your child’s nervous system to function at maximum capacity and respond to environmental stresses with ease. Birth is unavoidably stressful for your little one, which alone can cause a disturbance in the nervous system. Because of this, newborns are especially susceptible to spinal misalignment and stress on the nerves. This may not be apparent initially, but if left uncorrected, it could cause problems in the years to come. If your child’s body is stressed in any way, growth and development may be altered. This can show up in many ways such as scoliosis, pain, asthma, allergies, digestive disorders, ear infections, and chronic sickness. Chiropractic care for your children is vital to their health and an absolute necessity for their development and for actualization of their full potential in every area of life. Your doctors provide specific recommendations on nutritional supplements and health food choices to enhance your return to optimal health. Do you know which supplements and vitamins are good for you? Do you know how these supplements and vitamins interact with one another? Your doctors can provide a structured nutritional program based on your individual needs. Dr. Travis Myers is an excellent public speaker and enjoys spreading the message of optimum wellness with chiropractic. He can do a lunch and learn with your workplace to educate you on how chiropractic care could help your office staff feel better and function at peak capacity. Dr. Amanda Messer has extensive training in the evaluation and treatment of hormone imbalances. Her drugless approach to hormone balancing is effective and life-changing. All of the symptoms of estrogen dominance, adrenal fatigue, thyroid imbalance, menopause for women, or andropause for men can be alleviated by balancing your hormone levels. To accurately test your hormones, she offers a hormone saliva test which tests 11 different hormones at 4 different times in the day and costs $300. It comes as a kit in a box that you take home to do. This may seem expensive at first, but imagine a program that allows the body to heal problems due to hormones that have dragged you down for years or problems that are accumulating or changing for the worse as you age. This is a program that does not just mask or treat the symptoms but it corrects the source of the problem. This is the reason we take a ‘nerve first’ approach. 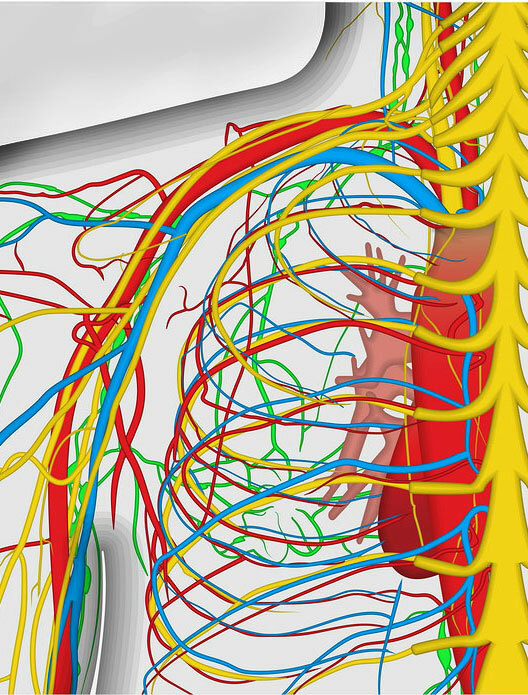 By affecting the nervous system first, the muscles relax, and the body can then move the bones back into place. We don’t have to ‘force’ them back into alignment. In addition, your nervous system controls all the function and healing in your body. A neurological approach allows all body systems to function optimally. You’re looking for extremely gentle, yet powerfully effective chiropractic care (no twisting, turning, popping, or cracking…and even better results). You’ve been to a chiropractor before, and are tired of having the same spots adjusted over and over. You’re wanting help with a long-standing concern. You experience lots of day to day stress. 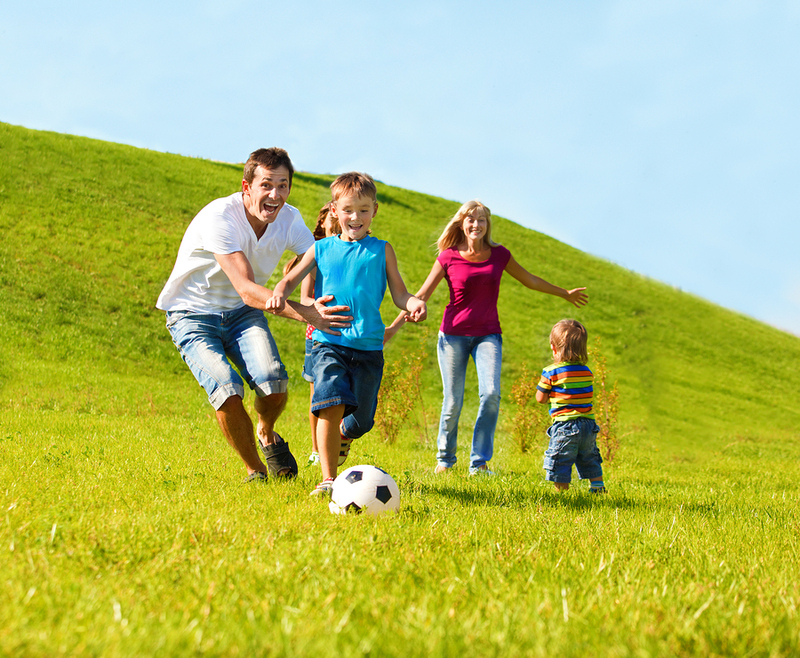 You want to optimize you and your family’s health and well-being, now and in the future. Your health is important to you. At Messer Chiropractic we see patients with a variety of pain. Below we listed some of the more common types of conditions that we treat. Our goal is to seek out and improve the cause of the condition no matter what part of the body it is in, not just to cover up the symptoms. The entire staff at Messer Chiropractic & Nutrition Center is here to make your experience a pleasant one. We understand that pain affects every area of a person’s life, from the physical to the mental and the spiritual. As such, we are on a mission to help you discover the power within your own body to nurture, heal, and protect your overall health. Our exceptional style of chiropractic care ensures that we use your symptoms as a starting point in the search for the underlying causes of your disease, discomfort, or pain, instead of simply treating your symptoms over and over again. It is very common for issues that seem to be unrelated to actually stem from irregularities in the spinal column. Because individual patients respond differently to like treatments, we will avoid a one-size-fits-all schedule and will develop an individualized plan to reintroduce wellness to your life. This may include chiropractic adjustments, changes to your diet, tweaking your daily schedule, and adding corrective exercises to your routine. Chiropractic care will introduce life-changing benefits to patients who commit themselves to the programs we develop for them, including: long term relief from headaches and migraines, liberation from neck and back pain, reduction of muscle stiffness, improved balance and mobility, and more. These physical improvements often lend themselves to better mental and spiritual growth.